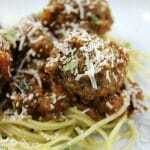 Few dishes rival a classic spaghetti and meatballs recipe. 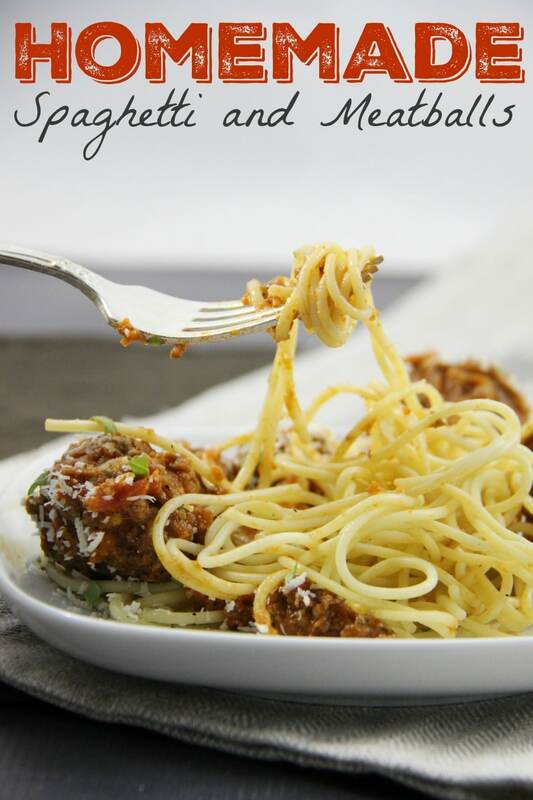 The long perfect noodles, delicious sauce and the meaty goodness of meatballs it’s a family favourite no matter what age you are! We make this meal in large portions so that we are able to freeze some for future dinners. 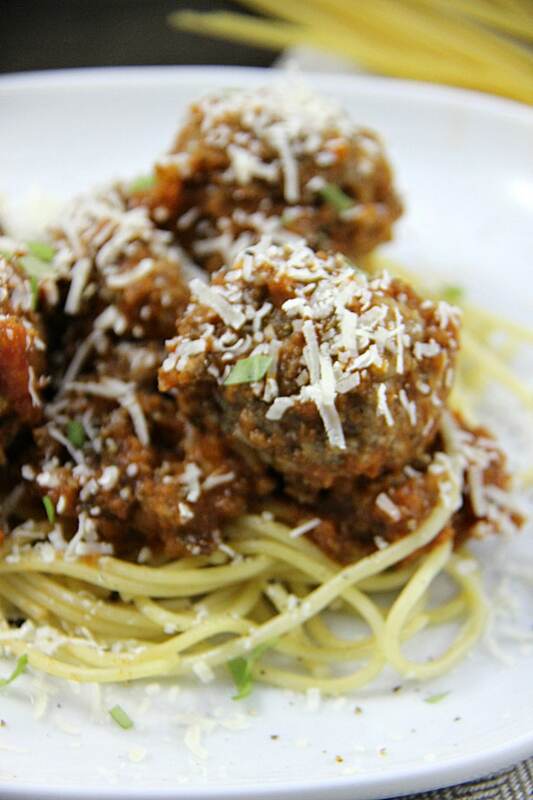 If your family loves meatballs double that recipe – they seem to go quickly around here. Place parchment paper on a cookie sheet and arrange meatballs on cookie sheet. Bake for 20-25 minutes or until cooked through. For crispier outsides broil until crispy. 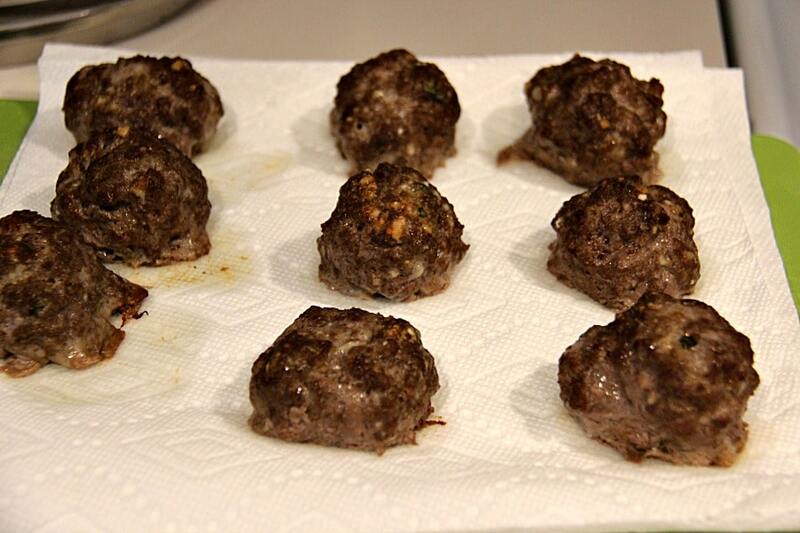 Set meatballs on paper towel to absorb excess grease released during cooking process. 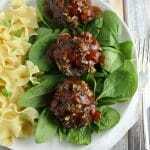 Delicious homemade meatballs that pair perfectly with your favourite pasta sauce. Freeze well for make-ahead meals. In a skillet place coconut oil and onion and cook until transparent. Add ground beef, garlic plus, and Worchestshire sauce and cook through. Meanwhile, in Vitamix add 1 jar of pasta sauce, can of diced tomatoes, carrots, spinach, basil, salt, pepper and parsley and mix until fully combined. Add Vitamix mixture and other jar of pasta sauce to a sauce pot and simmer over medium-low heat adding onion and beef mixture. Simmer for 30 minutes or up to two hours (for maximum flavour). In last 15 minutes add Tabasco and sugar. Add meatballs to pasta sauce and simmer until warmed through. Add water to a separate saucepan and simmer on low for 15 minutes or until pasta is cooked al dente. Top pasta with sauce and a few meatballs. 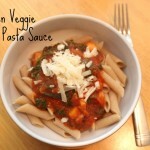 Your family won't even notice the hidden veggies in this delicious and flavourful pasta sauce. n a skillet place coconut oil and onion and cook until transparent. Add ground beef, garlic plus, and Worchestshire sauce and cook through. Meanwhile, in Vitamix add 1 jar of pasta sauce, can of diced tomatoes, carrots, spinach, basil, salt, pepper and parsley and mix until fully combined. Add Vitamix mixture and other jar of pasta sauce to a sauce pot and simmer over medium-low heat adding onion and beef mixture. Simmer for 30 minutes or up to two hours (for maximum flavour). In last 15 minutes add Tabasco and sugar. My kids love meatballs but I never make them. I think I will now that I have my vitamix. Great recipe! Thank you Salma! 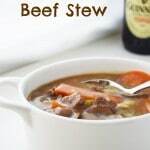 It’s a family favorite and one I try to have in the freezer for busy workdays. We love meatballs. I never thought of using coconut oil. I have to try that! Great looking recipes! I would take out the basil leaves (personal choice) and I never thought of using Worcestershire sauce! Can’t wait to try that with my next sauce. 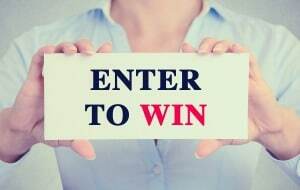 Do let me know what you think. 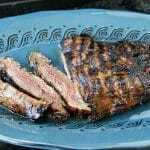 I love Worcestershire sauce – it adds great flavour!